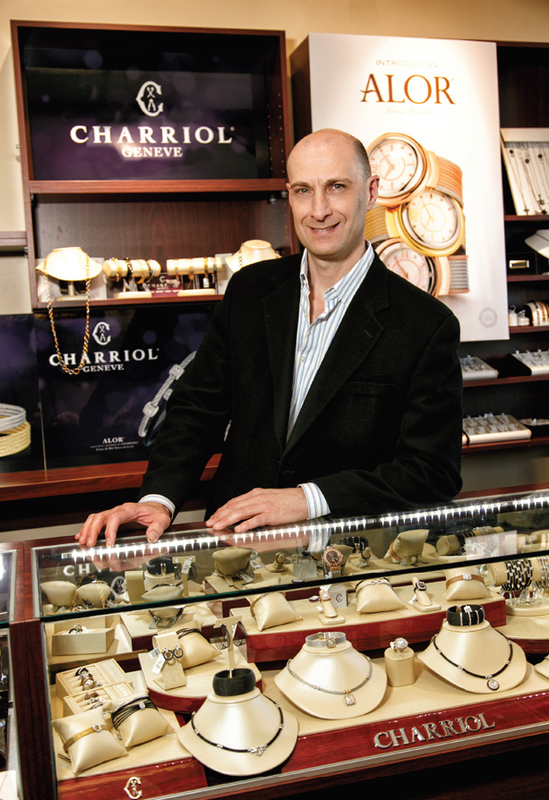 Self-owned Vik’s Jewelers has operated on the simple business philosophy of its founder. Present affordable fine jewelry and watches. Provide customer service that builds life-long relationships. Most importantly, make you feel like part of the family. Finding your niche always takes some time. There’s always a bit of fluttering, a bit of flying…but when you land, you hope your landing place is just right. For Vik Cooper, owner of Vik’s Fine Jewelry, he couldn’t be happier with his landing place, which is perfect for his niche. area, and now knows it was the best move he’d ever made. By moving to this mid-island area, Cooper is able to service the entire borough better. In this larger space he is also able to carry more lines and offer clients a greater variety of options. Down-to-earth and charming, this high-end boutique offers luxury items at reasonable prices. During a searching for a special piece or gift, Cooper likes to have a cup of coffee with the customer and to hear “his or her side of the story,” as he described it. As a result, his custom pieces are more like works of art (the business also maintains a site where a thought or wish can become a reality—a virtual coffee, as it were). “By eliminating the middle men—the manufacturers—I am able to offer wonderful prices for custom pieces,” Cooper explained. In addition to custom creations, the business carries many high-end brands. Specializing in bridal and engagement rings, Cooper carries diamonds from 0.5 to 5-plus carats, along with unique settings in yellow and white gold as well as platinum. Engagement and wedding rings can be custom-made, or shoppers can choose from existing designer rings and settings. New and pre-owned watches are also a specialty (the ultra-mod Torgoen line is a recent staff favorite), as well as a slew of designer jewelry brands—from Charriol to Roberto Demeglio, Scott Kay to Hidalgo, and Movado to Alor. for future grooms to pop the question, of course, so a lot of attention is paid to the engagement ring collections at Vik’s this time of the year.